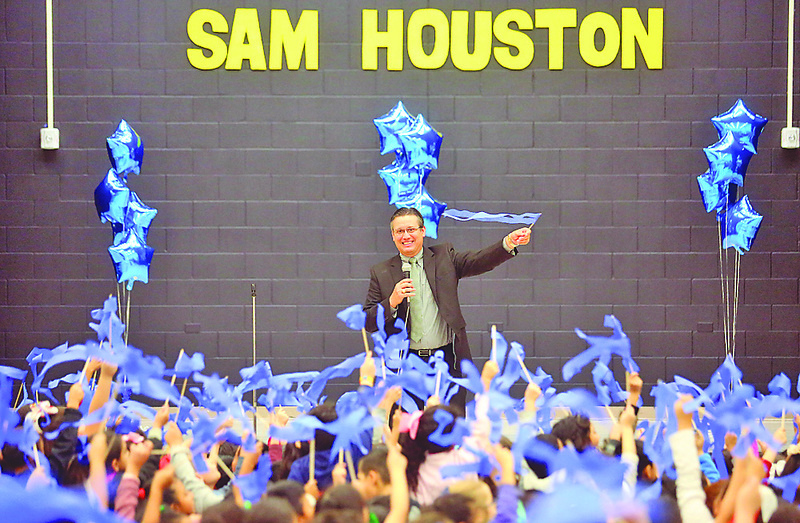 McALLEN— Some of the youngest students at Sam Houston Elementary cheered at the top of their lungs while waving blue ribbons and throwing their hands up in the air on Thursday afternoon. 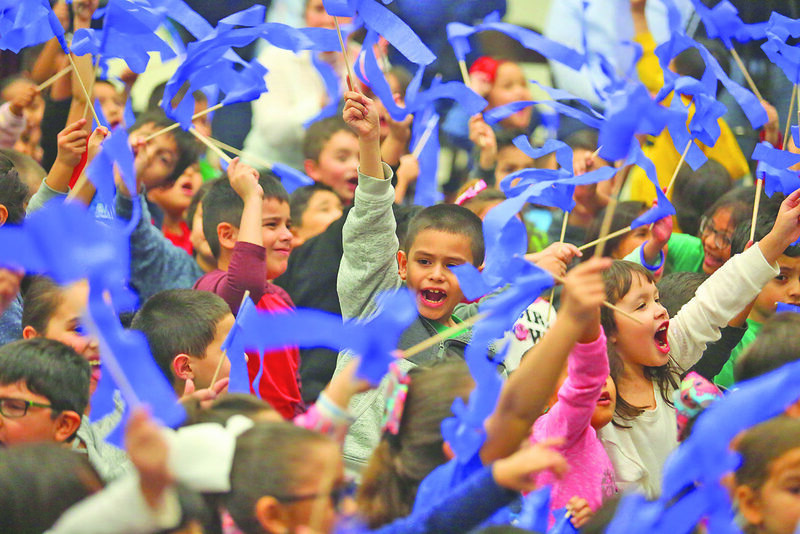 The McAllen Independent School District students were told that their elementary school was nominated by the Texas Education Agency as one of 13 Exemplary High-Performing Schools in the state to potentially gain the national Blue Ribbon recognition. Alongside Houston Elementary students are Roma ISD’s Emma Vera Elementary, Valley View ISD’s Wilbur E. Lucas Elementary and Brownsville ISD’s Putegnat Elementary. The four schools qualified under the same category for high student performance. The second category under the nomination is Exemplary Achievement-Gap-Closing Schools, and Valley schools took seven of the 13 nominations. These schools include Brownsville ISD’s Hudson Elementary, Hidalgo ISD’s Hidalgo Park Elementary, IDEA Public School’s Quest College Preparatory School, La Joya ISD’s Elodia R. Chapa Elementary, Mission CISD’s Hilda C. Escobar/Alicia Rios Elementary, and Valley View ISD’s North Elementary. In order to be nominated schools must have an economically disadvantaged population of 30.9 or above and show high student performance levels or exemplary strides towards closing achievement gaps among minority students, while maintaining high performance among the entire student population. Getting the nomination alone is an achievement considering these schools are competing alongside all elementary, middle and high schools across the state. For Thomas, the not-so-secret ingredient behind the success of her students are teachers and staff. They all work as a team to ensure the students not only succeed in academics, but in school endeavors such as the 20-year-old Minitropolis program, she said, in which students learn the ins and outs of everyday life by creating a miniature city within their school. On Thursday, McAllen Superintendent Jose Gonzalez also greeted the students and expressed his pride in the high achievements they’ve reached. The U.S. Department of Education will now select the national award winners, as these state nominees must undergo a rigorous application process. The national awardees will be announced in September and will be recognized at the annual Blue Ribbon Schools ceremony in Washington, D.C. In 2018, two Valley View elementary schools — Valley View Elementary and Valley View South Elementary — gained the national recognition. La Joya ISD and IDEA Public Schools also had 2018 awardees with Jimmy Carter Early College High School and Idea Mission Academy earning the national designation. This year IDEA Quest was the only high school among the Valley nominees and if selected.